The two new floodlit courts with a top of the range artificial grass playing surface represent a real step forward in the facilities offering at the Holbrook Club. This major investment on behalf of the clubs executive committee demonstrates the long term commitment to provide a full range of facilities for our members and their guest to enjoy. Q: What type of new surface is being laid? A: The new courts will be an artificial grass surface called 3G. 3G presents the closest playability to real grass that there currently is on the market. The artificial grass filaments are 60mm long with a sand and rubber crumb base, the rubber crumb is made using recycled car tyres. A number of premier league soccer teams have this surface surrounding their main pitch (Chelsea being one) and have a full size training pitch using this surface at their training centres – The FA’s centre, St Georges, has three full size pitches of this type. Q: What sports can be played on the 3G surface? A: The primary use of these pitches will be 5 a side football. The pitches can also be used for rugby training. They cannot be used for Tennis. Q: How long will the court works take and will our usage of Tennis Courts 3-5 be affected? A: The court project is due to start on Monday 26th January and is scheduled to take place over the course of the next 5 weeks. There may be some disruption to courts 3-5 when the old dividing fence is removed to install the new rebound fencing. However, all courts will remain open unless mitigating circumstances force a closure. Q: Will car parking be affected in the overflow car park adjacent to the courts? A: There will be some disruption to the over flow car park in the first two weeks of the project. We will endeavour at all times to minimise disruption and at weekends when the car parks are particularly busy all works will stopped and where ever possible equipment will be stored out of the way to facilitate the release of as many parking spaces as possible. Q: Who will be able to use these facilities? A: First and foremost these facilities will be available for members and we have already confirmed annual usage slots for both the Rugby and Football Sections. We will be opening these facilities up for use for training by local teams and we are working on establishing a local 5 a side league competition. Q: How much will these facilities cost to play on? A: The courts will be charged at £30.00 per hour to members, no unlimited sports discounts will apply to this brand new facility. 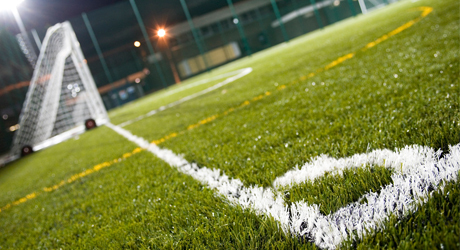 In comparison the only other local 3G playing pitches of this kind are at Bewbush in Crawley and East Grinsted Sports club which are priced at £53.90 per hour and £42.70 per hour respectively.